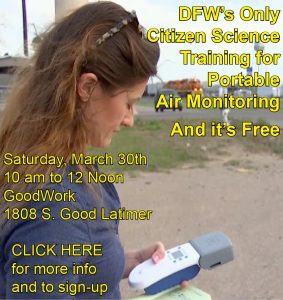 (Dallas)— A new alliance of groups fighting for more protective fracking regulation in Texas is using a Dallas environmental conference to host the first statewide strategy session responding to the passage of HB40 by this year’s state legislature. Dubbing itself the “Texas Grassroots Network,” organizers include key members of local groups in Arlington, Denton, and Mansfield. Since their first meeting during the summer, they’ve also received calls from South Texas residents who live in the Eagle Ford gas and oil field. 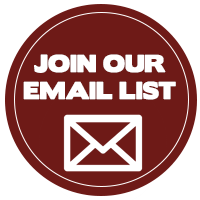 Their aim is to create something Texas has never had – a statewide coalition of grassroots groups tackling the same industry and the same problems caused by that industry setting up shop too close to people. 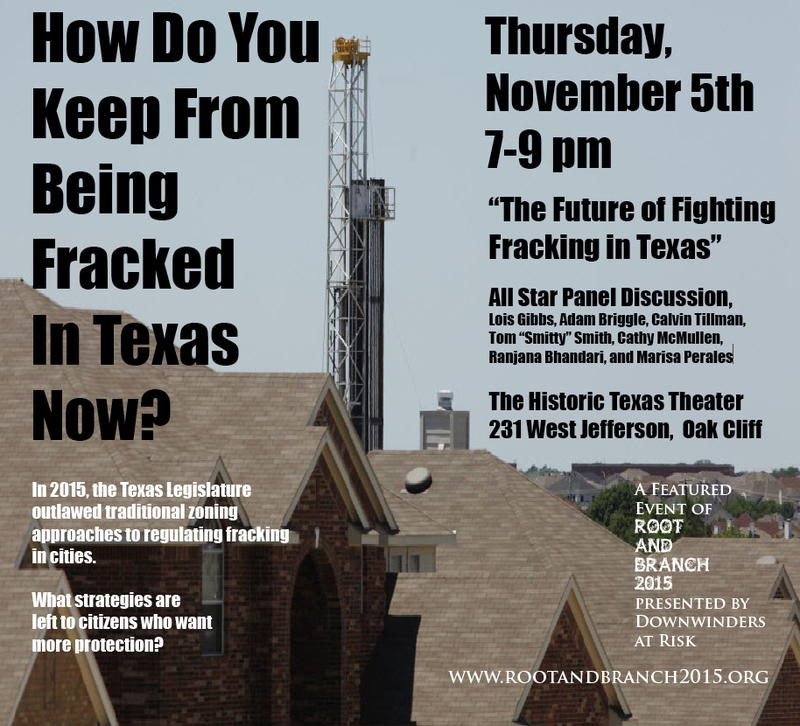 On the evening of Thursday, November 5th, they’re taking over Dallas’ historic Texas Theater to begin what they say will be a wide-ranging and free wheeling discussion about what the best options for those who don’t want to live side-by-side with drilling rigs in light of the legislature’s restrictions on local zoning. “The Future of Fighting Fracking in Texas” is the second featured event of local clean air group’s Downwinders at Risk’s four-day floating conference, called “The Root and Branch Revue.” Other conference events include an evening of “environmental comedy” with Bar Politics, a day of workshops aimed at sharpening activist skills, and an attempt to construct “the world’s largest S.O.S” outside EPA Regional Headquarters in downtown Dallas. Lois Gibbs, of Love Canal fame, is the featured guest. But it’s Thursday’s panel discussion and a follow-up on Saturday that could potentially have the biggest impact on the Texas environmental movement. Many opponents of urban fracking are still reeling from the state’s ban on local zoning restrictions last spring. There hasn’t yet been a coordinated or articulated response. Organizers of the Texas Theater discussion aim to fix that. Participating will be some of the most high-profile regional fractivists, including Bounds, who’ll moderate, Adam Briggle and Cathy McMullen from Denton, Ranjana Bhandari form Arlington, and former DISH mayor Calvin Tillman. Joining them onstage on stage will be Public Citizen/Texas staffer Tom “Smitty” Smith, Austin-based environmental attorney Marisa Perales, and Lois Gibbs herself.